Stinky Soliman is a REAL PROBLEM in the Philippines! It's something how the Philippines a country that claims it believes in morals and virtues actually is losing its war against corruption. Meanwhile, Communist China has its instances when it's actually more more than the Philippines. Just think about that evil woman Stinky Woman! Stinky Soliman the head of the DSWD is a prime example of what's wrong with the Failipino culture. DSWD supposedly stands for Department of Social Welfare and Development but with her in office, it's better called as Department of STUPID Welfare and Devolution. Why is that? Society is not evolving to progress, it is stupid. Removing the death penalty from the Philippines has only increased its crime rates... and the so-called Commission on Human Rights is B.S. Still proud to be a Failipino?! And I know point missers will get mad but Stinky Soliman is one type of person every enlightened Filipino will hit with scathing remarks because of how horrible she really is. To be honest, I would believe that if death penalty was restored, crime would be GREATLY reduced. Just think if all those plunderers in politics were executed for stealing BILLIONS of pesos that could have been used for national development. 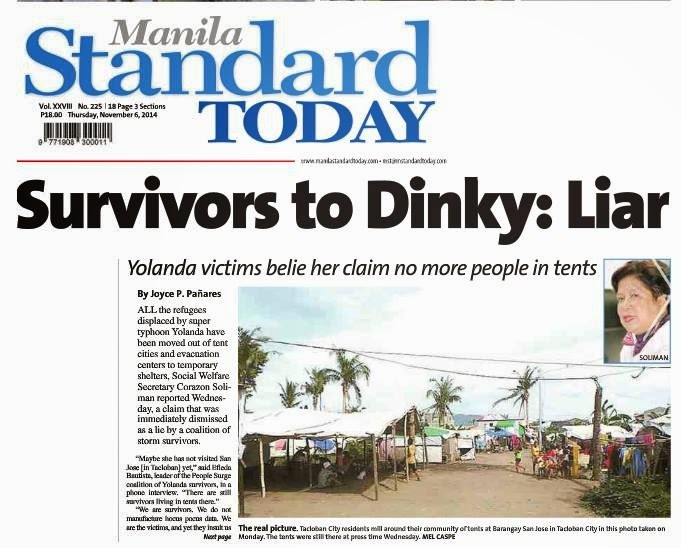 And just think if Stinky Soliman's mishandling and corruption at the DSWD would be treated like Zheng Xiayu. A lot of Failipinos say Chinese laws are inhuman but oh really? Why are you still protecting Stinky? Human rights? Is it a crime to kill a criminal if he or she is firing shots and killing people? Really how twisted are Failipino priorities? And the issue of melamine was brought back during the execution of the three drug mules (made heroes by Failipino culture). What they ignore is that the Philippines has become non-humanitarian when it refuses to punish people who deserve it. Cedric Lee's release is just as terrible as O.J. Simpson's pardon. If you ask me, Stinky Soliman should be removed from duty and forced to eat all her expired relief goods as a much fitting sentence than a swift execution! 110% on the money my brother. I personally, have always admired the Romans for using Decimation as their form of justice and punishment. I wonder how well such a procedure would do in the PH?